Join us for our second week of fun-filled filled Half-Term activities! Explore your creative skills with 4 days of exciting Easter- themed craft activities. 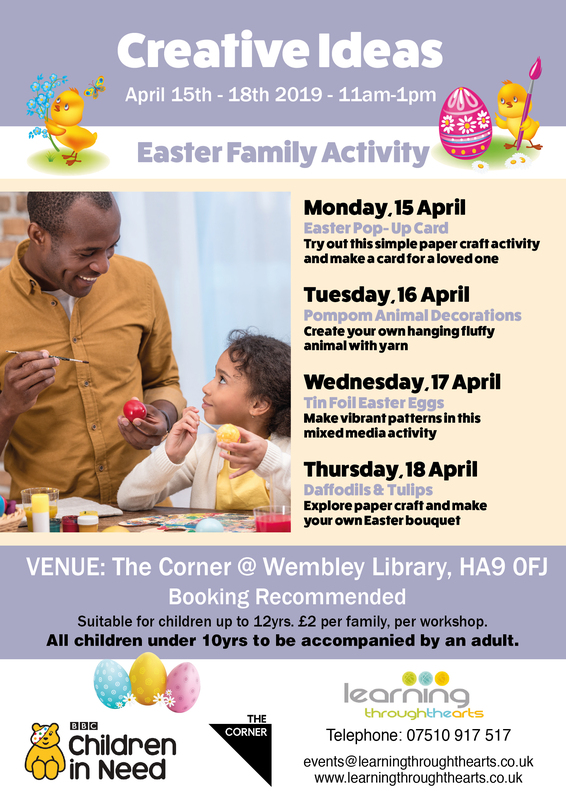 Monday 15th April – Thursday 18th April 2019 11am -1pm at The Corner @ Wembley Library. Booking Essential, book your place below! Suitable for children up to 12 years old. Children Under 10 to be accompanied by an adult. This project is kindly supported through funding by BBC’s Children In Need.